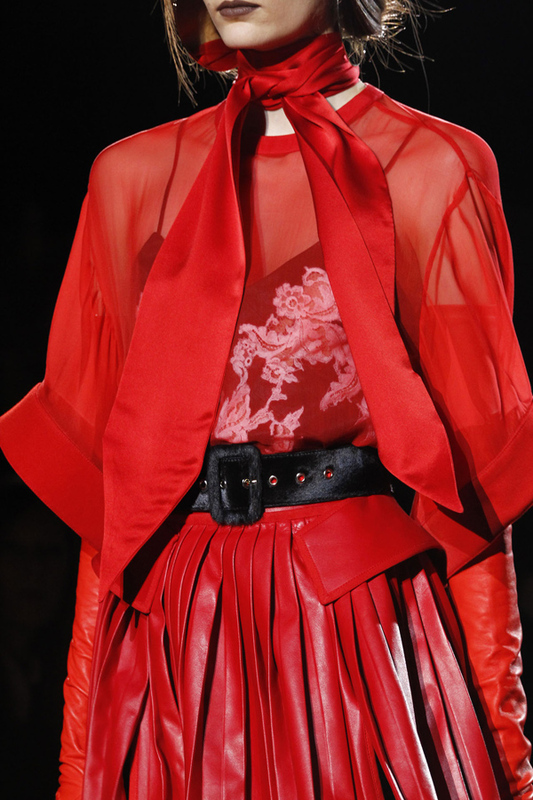 A belt can make or break the outfit. 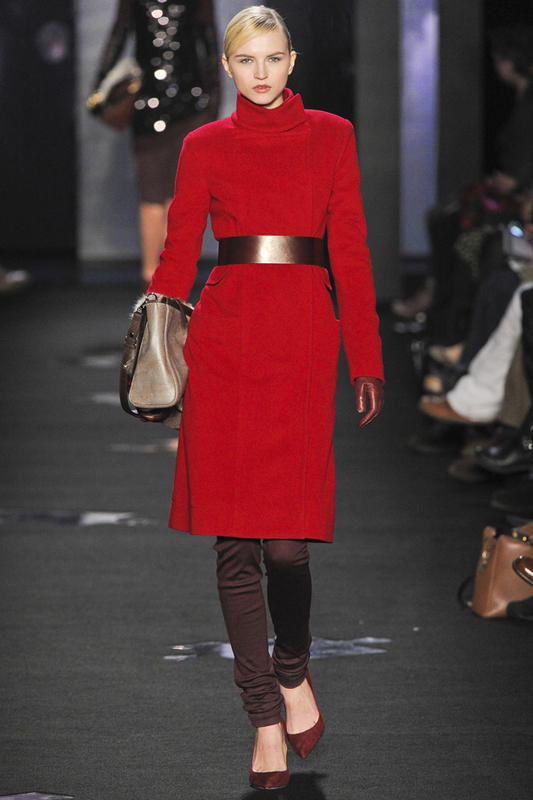 It can also help correct the figure and define the waist. 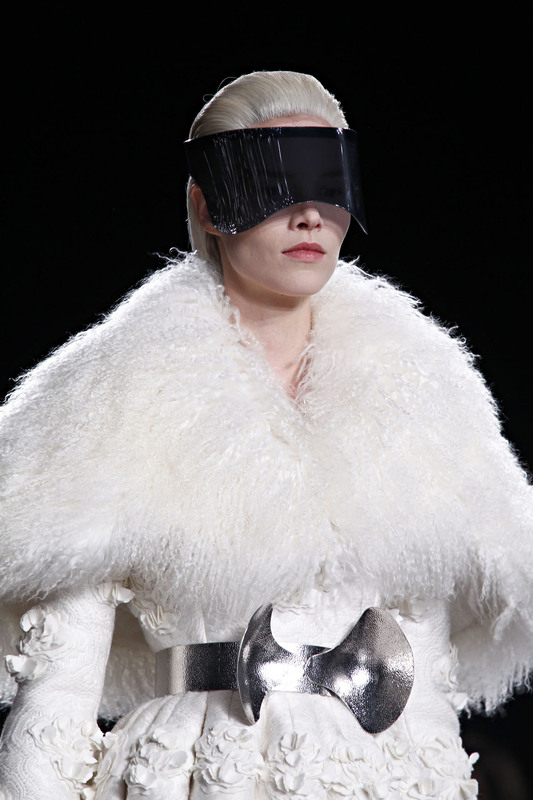 It’s practical and can be stylish and beautiful. 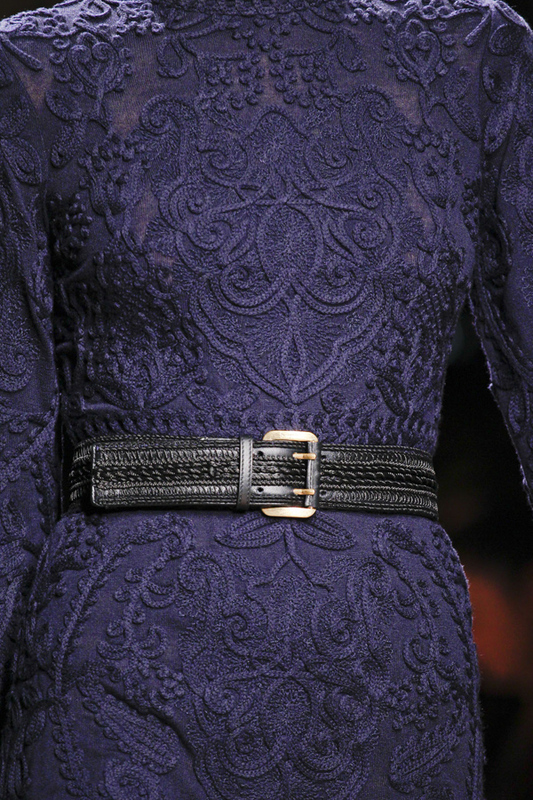 For Fall/Winter 2012/2013 season the designers created a wide variety of belts from thin almost unnoticable but functional ones to dramatic waist-cinching designs. 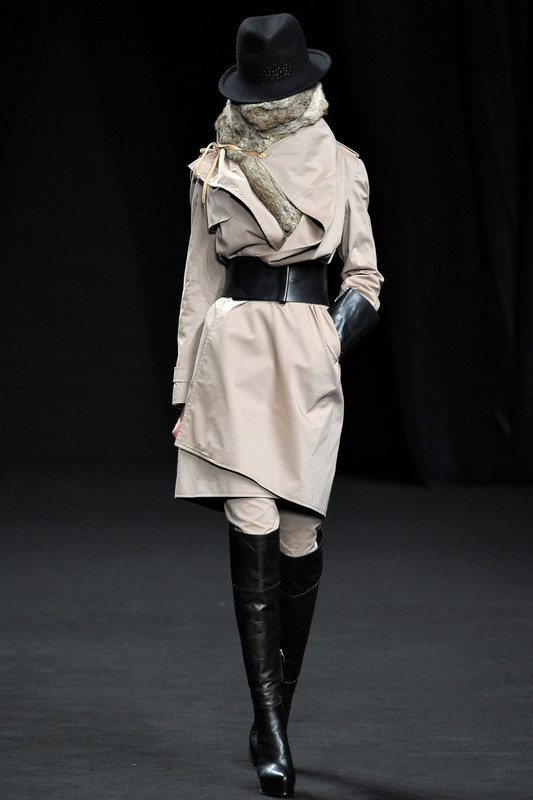 There are also simple wide leather belts, metalic belts, and various other styles and designs. 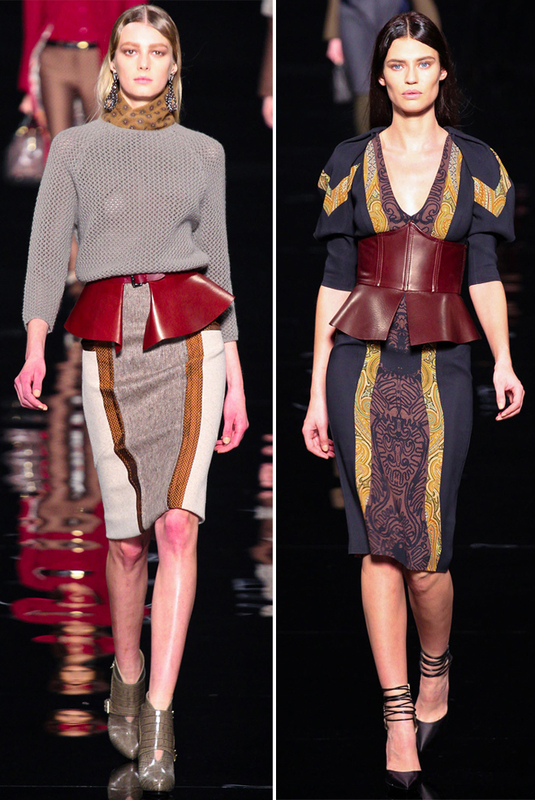 Peplum belts spotted at Etro are practical as they can add a peplum detail to any outfit. 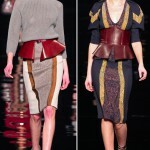 Peplum defines the waist and adds a twist to the outfit’s silhouette. 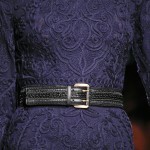 The belt at the right also has an underbust corset which creates a defined waist. 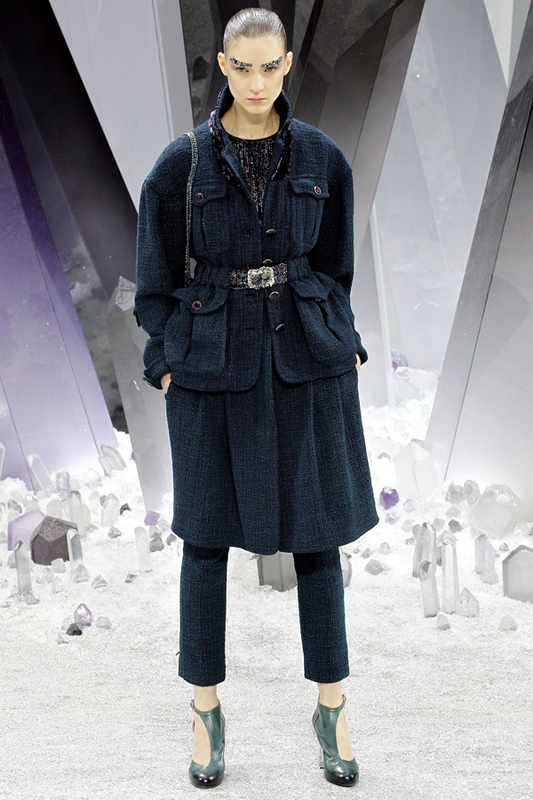 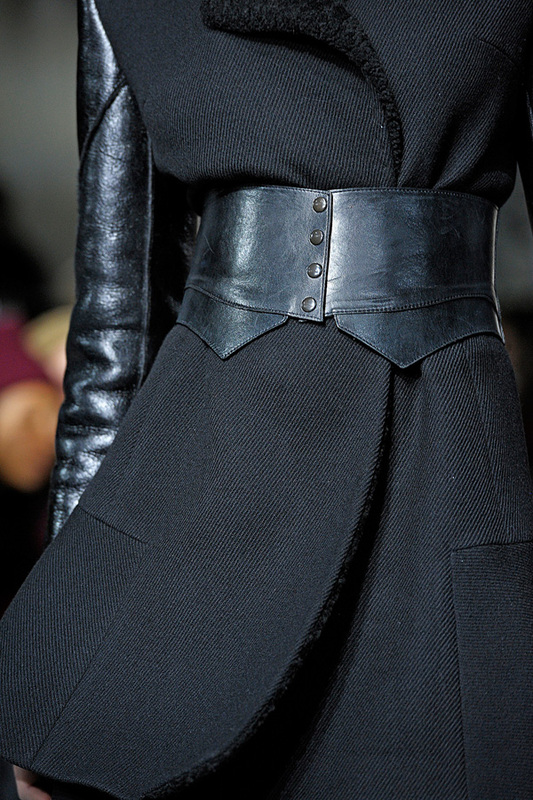 Wide waist-defining belts can be worn over the coats to create a wasp-y waistline. 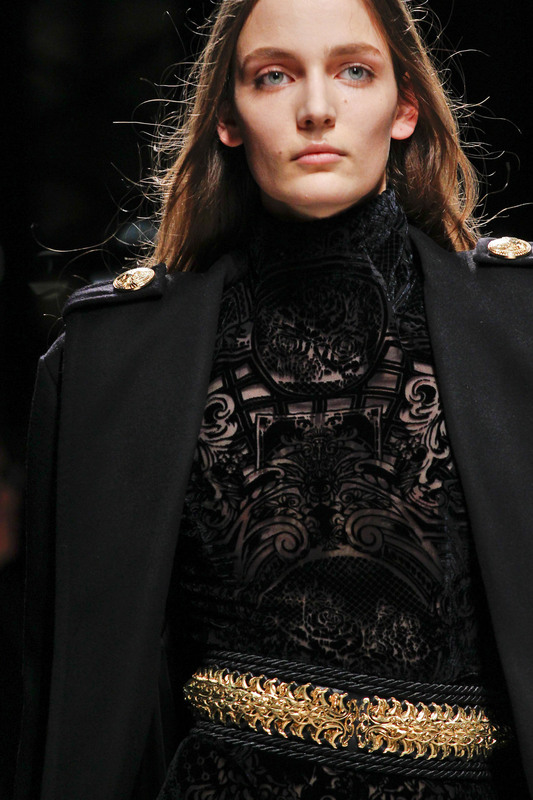 It’s also a great way of playing with textures. 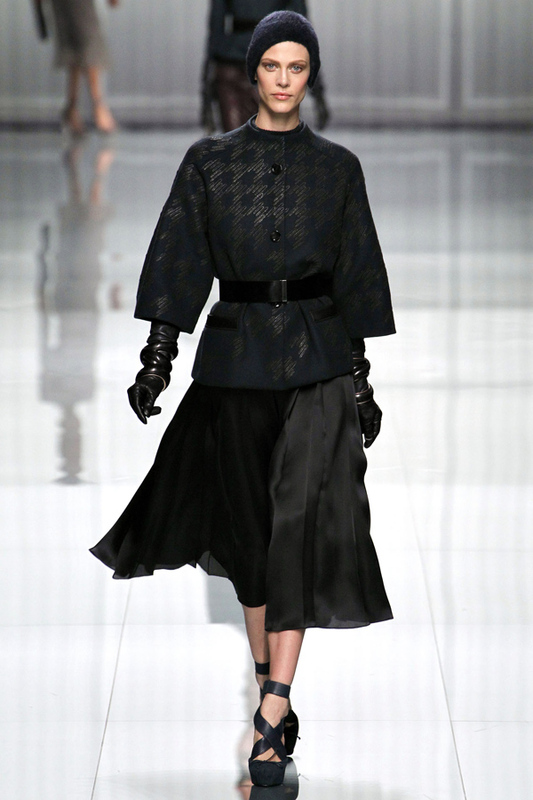 The difference in fabrics of coat and belt make for a nice dynamic in the outfit. 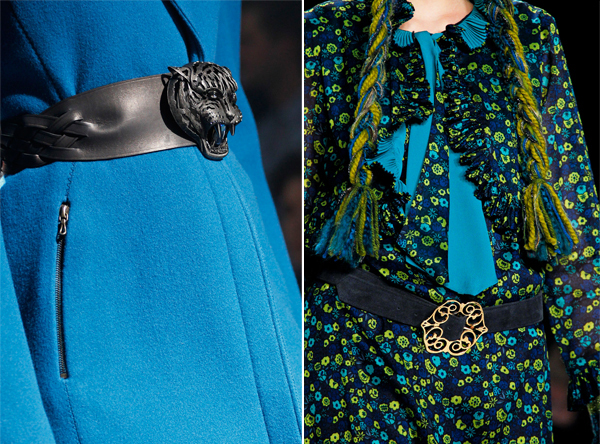 An interesting belt buckle can bring a nice accent to the outfit. 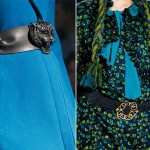 At Lanvin (left) the models sported a braided leather belt with tiger head buckle while at Anna Sui the suede belts were decorated with big golden buckles in floral design.